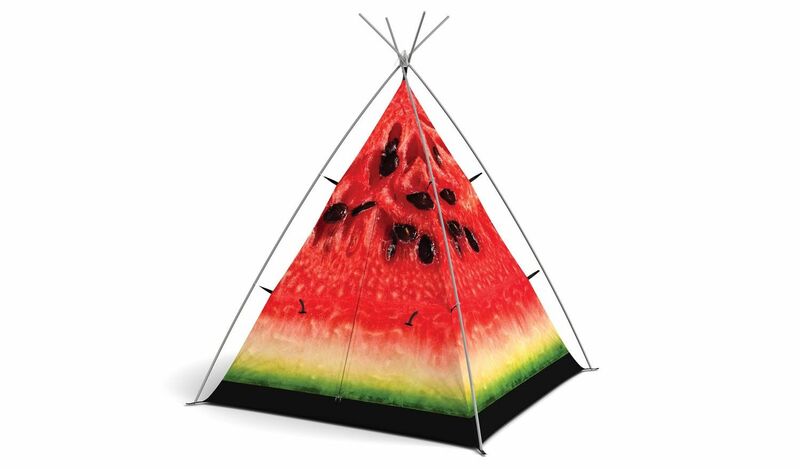 The FieldCandy Little Campers What a Melon, Deliciously fun and Highly versatile Children’s Waterproof Teepee Tent suitable for indoor and Outdoor use. The FiedCandy is Easy to assemble , lightweight but also highly Durable. 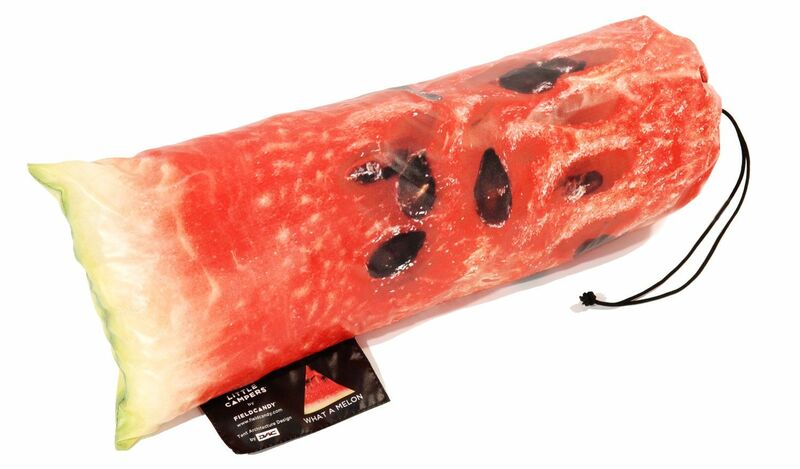 FieldCandy What a melon Little campers Tent are as practical as they are fun , made in the UK from Quality Materials. If you would like any more information please contact the Team @ IBEX Camping. ALL IN ONE POLE SET Forget having endless parts to piece together, FieldCandy have taken all the hassle out of setting up your teepee with FieldCandy's innovative all-in-one pole set. TRIANGULAR POLE CONNECTOR The aluminium alloy triangular connector holds all the poles in the right place, and gives it the traditional teepee shape. EASY SET UP POLES You will be amazed how quick and easy it is to set up the tent poles. Hold the triangular connector by the tip in one hand, release poles with the other and give a little ‘wiggle’ and they slot together all by themselves. Very clever. They are also environmentally friendly and stronger and lighter than standard poles. ZIP Field Candy only use zips from the worlds leading zipper manufacturer YKK, your Little Camper features high quality YKK zips with easy FieldCandy toggles zip pull. 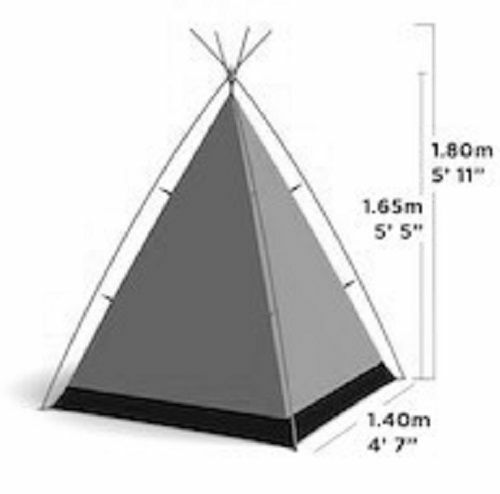 BADGE Every Little Campers teepee is completed with a FieldCandy badge, authenticating your FieldCandy purchases. Your badge details the name of your chosen design and safety guidelines to consider with your child.